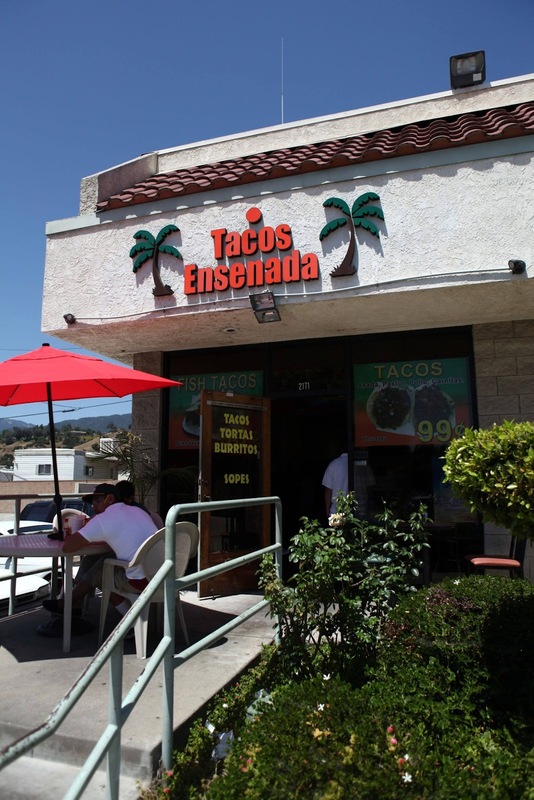 Despite being a little hole in the wall of a place, they dished out some of the best fish tacos I have ever had. If you know me, you'll know that I'm a picky fish eater and I had absolutely no issues with these fish tacos. Each taco had a big chunk of fresh white fish enveloped in a light crispy breading then nestled between warm corn tortillas and piled high with crisp cabbage, chopped tomatoes, onions, cilantro (which I didn't even bother to pick out), a creamy dressing and some spicy sauce. The best part? They were made to order. Simply delicious. After lunch, Jetts and I made a pit stop at the grocery store for a few ingredients then headed back to my place to get down to some pop tart making business. We decided to double the recipe and make a batch of sweet pop tarts and some savory ones. 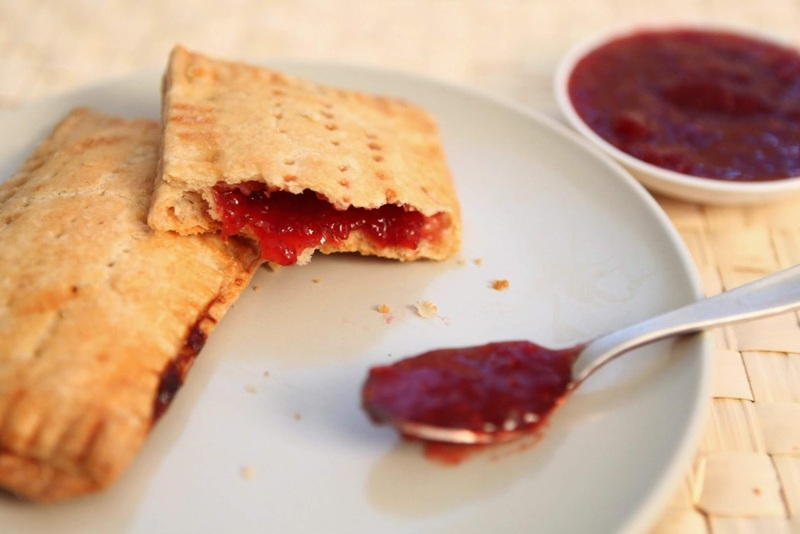 Since strawberries are in season at the moment, we chose to make fresh strawberry jam for the sweet version. I was left to decide on a savory filling and settled for a curried potato and onion filling, similar to the curry puffs I used to eat when I was child back in Southeast Asia. Don't you just love taking a walk down food memory lane? 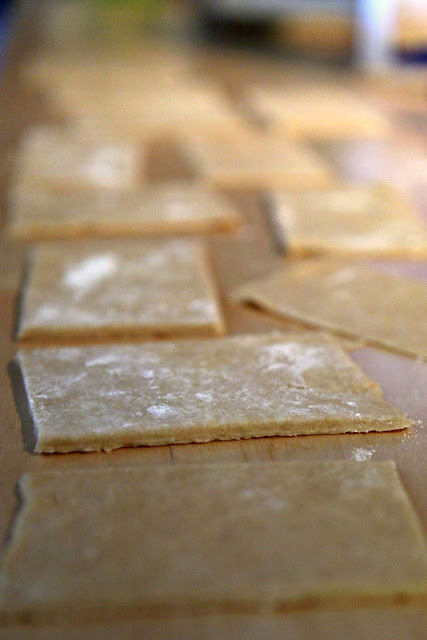 Our pop tart making journey took the entire afternoon (and then some), mostly because we went with homemade filling. If we had used commercial jam or Nutella, we could have easily finished in a couple of hours. In fact, the recipe did state that it would take two hours to make them. It's totally worth it though. 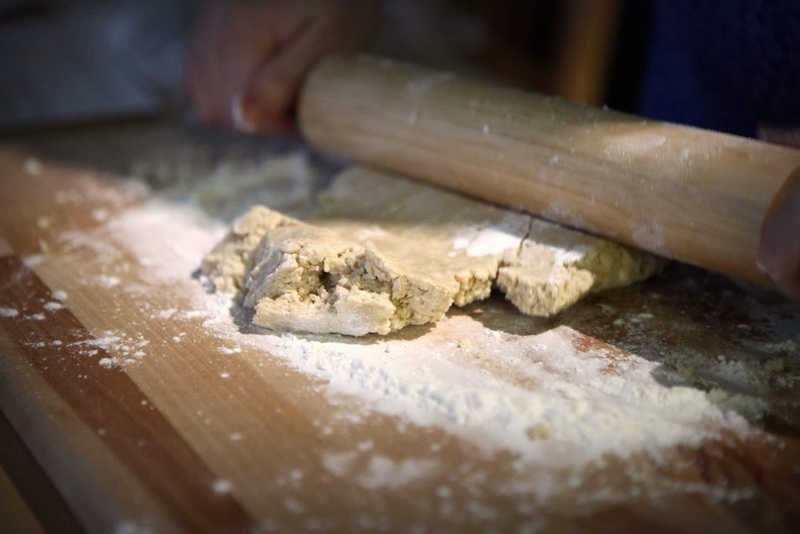 This recipe from the LA Times makes some mighty good tart crust. I know what you're thinking. 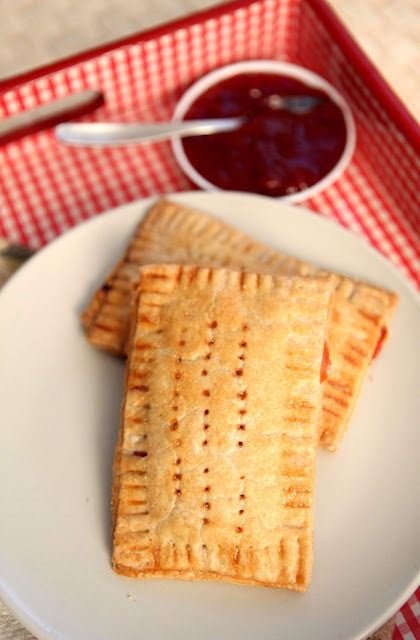 Why make pop tarts when you can buy a box for under $4 at the store? Yes, but have you tasted homemade pop tarts? 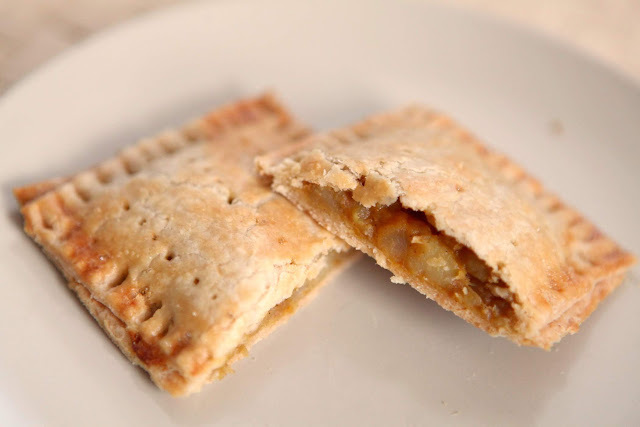 Ours were flaky, crunchy, buttery and oh so delicate. Best of all, we hold the power to stuff it with whatever our little hearts desire. In my book, there's simply no comparison. These pop tarts don't even need the icing on top. They are THAT good. 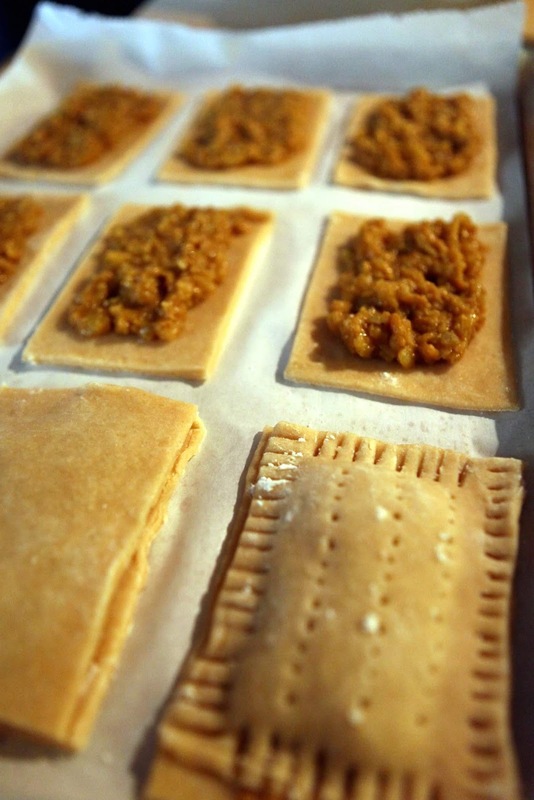 Homemade pop tarts with curried onion and potato filling. Recipe from the Los Angeles Times can be found here. Makes 8 to 9 pop tarts. the edges with a fork, followed by a good egg wash.
Mash the strawberries in a large pot with a potato masher. Add the sugar and lemon juice and bring the mixture to a rolling boil. Reduce heat to medium and stir constantly until the mixture reduces and thickens. Remove from heat and let cool. 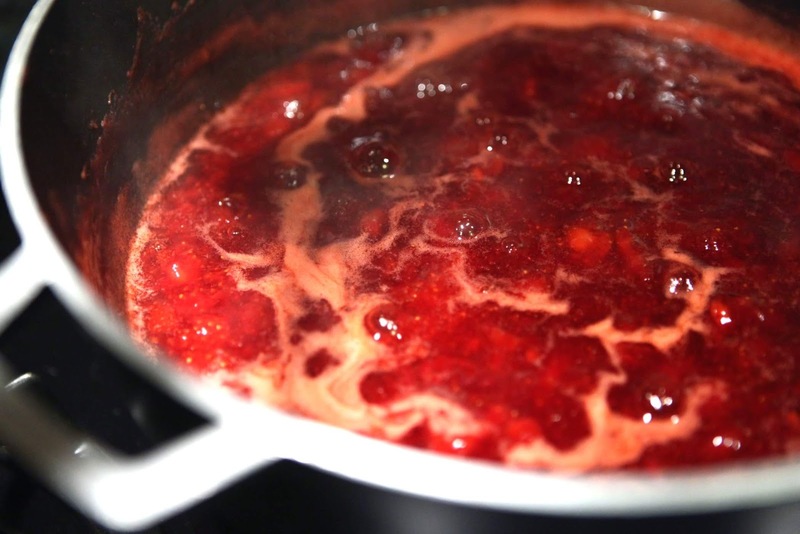 It will further thicken to a jam-like consistency when completely cool. Heat oil in a pan. Saute the garlic and onion until fragrant and the onion is translucent then add the curry powder, ginger powder, nutmeg and cinnamon. Saute until ingredients are combined. 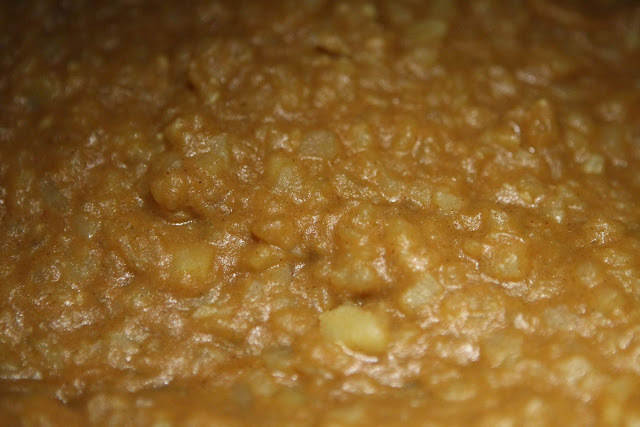 Add the coconut milk, water and potatoes to the pan, cover and simmer on low, stirring frequently, until the potatoes soften and the liquid has evaporated. Next, add the sugar and salt and season to taste. Remove from heat and let it sit to thicken. Curried onion and potato filling, thickening nicely. 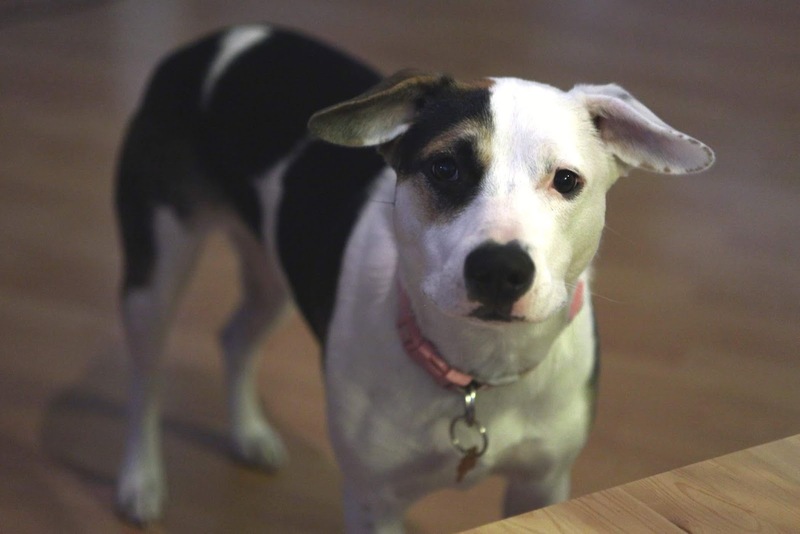 Lastly, here's a photo of our constant observer and kitchen stalker. Too bad she can't have any. Please, can I be your taste tester? All photos in this post are courtesy of Jetts.